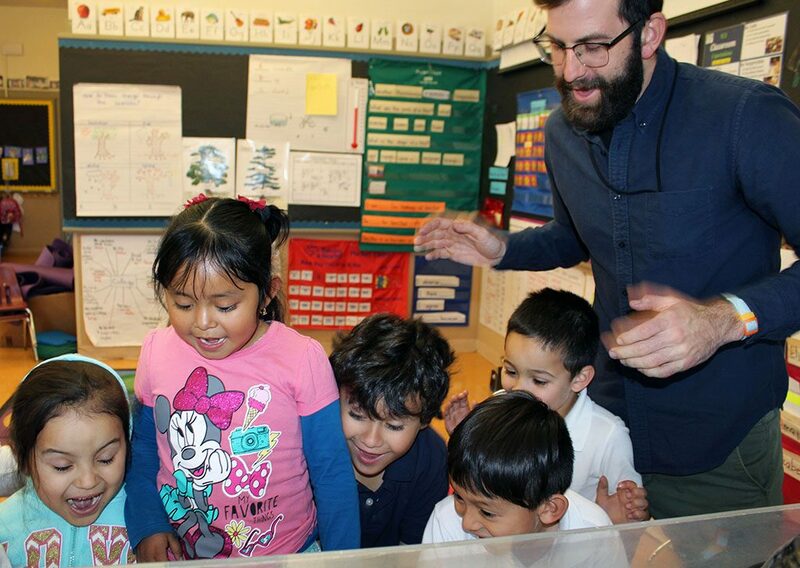 Kindergartners celebrate as Maurice, their aquatic class pet, takes a bite of food while swimming in his tank at International Community School in Oakland, Calif.
Maurice is a red-eared slider, one of the most popular pet turtles on the market. He is also the beloved class pet, seven years and counting, in Timothy Douglas’ kindergarten classroom. 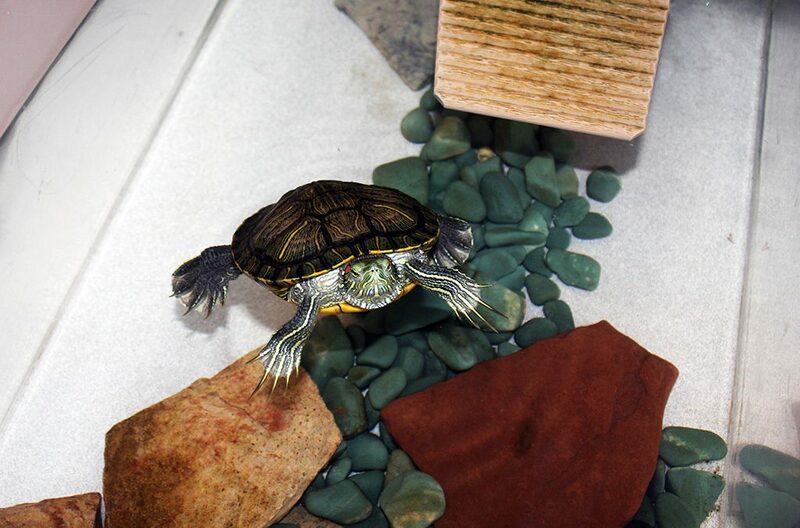 Like many class pets, Maurice symbolizes a classroom feature that has long been common in schools. But now, in some classrooms, class pets are doing more than helping children learn about animals. They are being integrated into teachers’ efforts to help young students learn social and emotional skills, such as self-awareness, self-management, responsibility and relationship building. Social and emotional learning helps children understand how to show kindness and compassion for others, learn to manage negative emotions like anger or sadness or how to recognize their strengths and limitations. For instance, a teacher explains to a student who was unable to complete a task as quickly as another student that everyone learns at their own pace. As social and emotional learning becomes more common across California, teachers are looking for innovative ways to incorporate it into class discussions or activities. Hands-on strategies that are intentional about building social and emotional skills typically provide the best experience for young children, said Maurice Elias, a professor of psychology at Rutgers University and the director of the Rutgers Social-Emotional and Character Development Lab. Elias said teachers who are passionate about a subject, like animals, can more easily connect those passions to social and emotional skills and pass it along to students. Elias said the “best vehicle” to teach these skills, however, depends on the teacher and school. For instance, social and emotional skills can be taught through music, art, literature, crafts and dance. They can also be taught through more formal instruction, he said. Elias said that while not every student will respond equally to pets, overall, class pets can evoke feelings in children that teachers can help to label. In early grades animals can become vehicles to teach social and emotional skills such as self-awareness and empathy, he said. These are skills that allow classrooms to function as organized places of learning, he added. 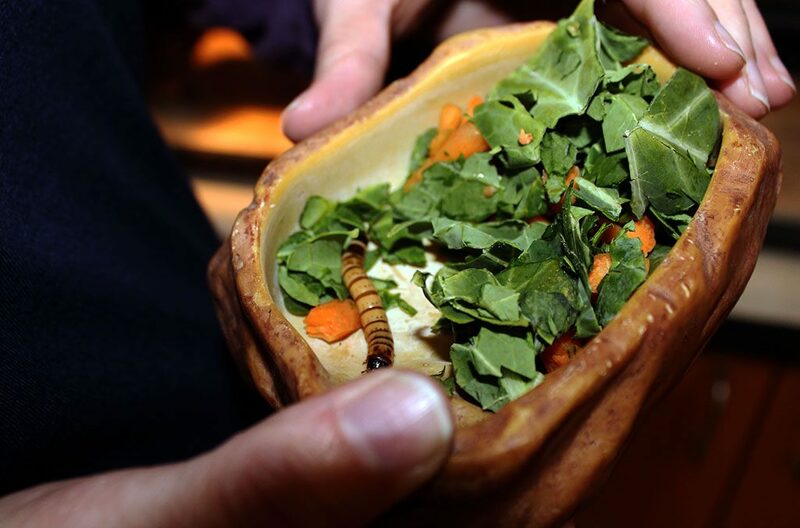 Teachers can include animals to teach not only science but also empathy for all living creatures, said Bruce Holaday, a member of the California State Board of Education and director of educational advancement for Wildlife Associates, which provides science programs for K-12 students throughout the state. 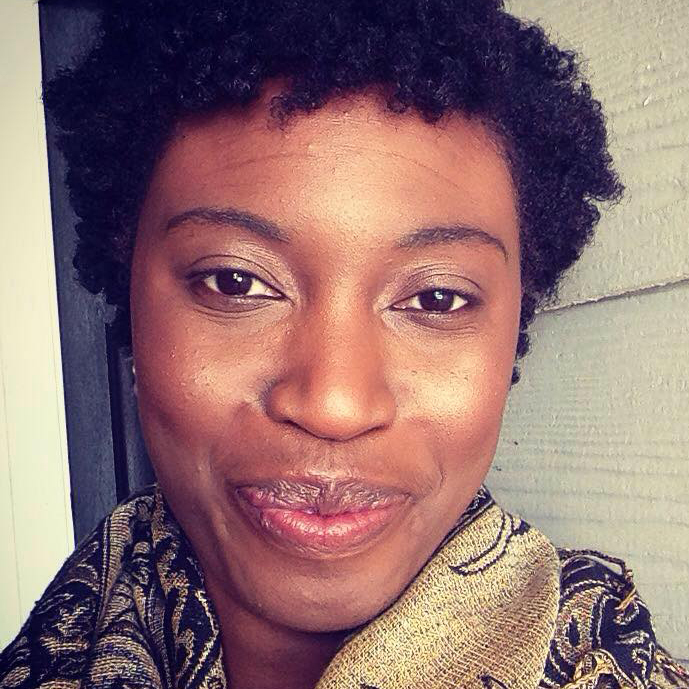 “There is an honest connection there that is powerful and important … It opens up a whole powerful realm of excitement and empathy that we should keep at the heart of all our educational programs. There is a real importance in knowing that we are not alone and that we are a part of a greater species,” Holaday said. While there is no single statewide curriculum for social and emotional learning, there are guidelines specifically created for preschool and elementary school by the Collaborative for Academic, Social and Emotional Learning. The guidelines state that effective social and emotional learning programs begin in preschool and continue through high school. One example is a program called “Second Step,” which can help students to learn empathy, friendship skills and problem-solving. 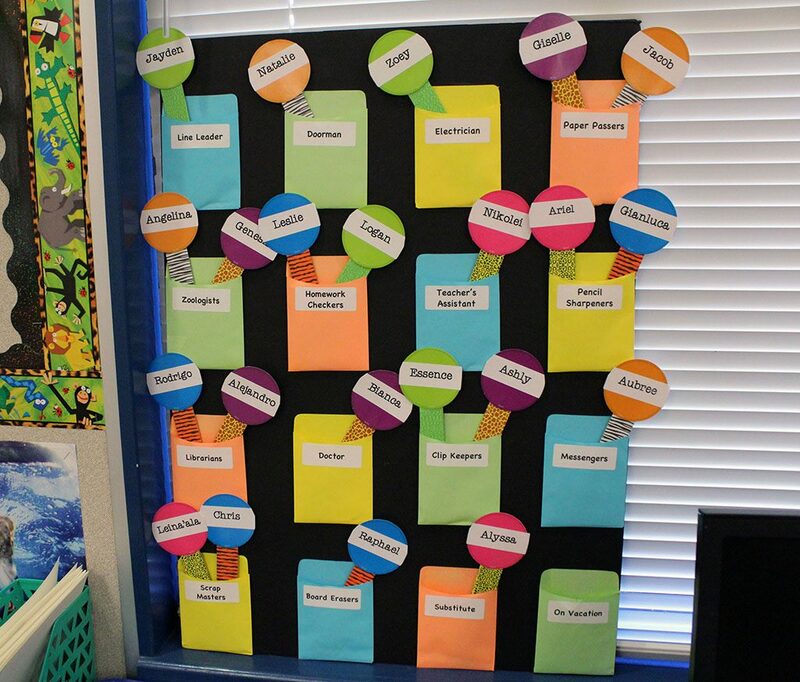 Teachers can use games, themed activities and class discussion to implement it. The California Preschool Learning Foundations, a set of pre-kindergarten guidelines for teachers, also includes an overview of social and emotional development. Maurice has been the class pet in Timothy Douglas’ kindergarten classrooms for seven years at International Community School in Oakland, Calif.
Second-graders at Heights Elementary in Pittsburg, Calif., named guinea pigs Potter and Weasley after lead characters in Harry Potter book series. 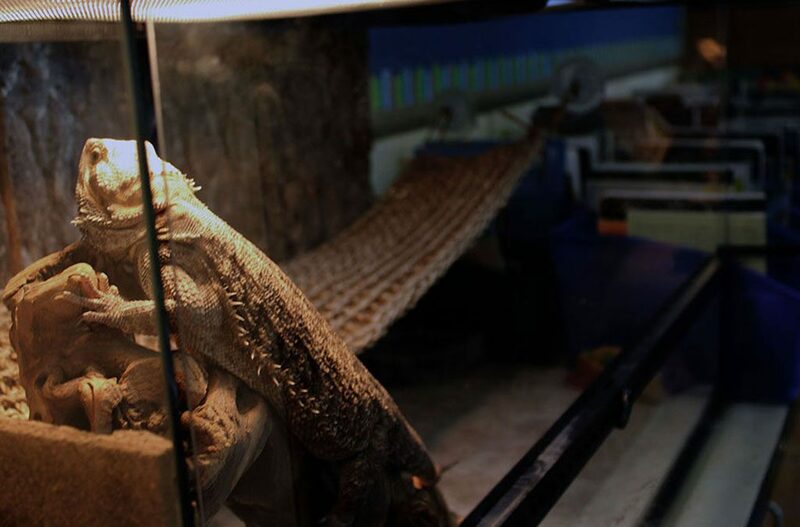 Skye, a bearded dragon, has been in this second-grade classroom at Think College Now in Oakland, Calif., for two years. Skye’s diet consists of lettuce, carrots and meal worms. Second-graders in Nicol LaCava’s classroom prepare the vegetables. About 30 minutes before Douglas’ kindergarten class ended for the day, he sat in the center of the room on a colorful rug and asked an open-ended question, a standard practice to encourage students to share their feelings. “What are our values?” he asked his kindergartners. “Safe, responsible, respectful,” he said, repeating the school values slowly along with his students. “How are we safe, responsible and respectful with Maurice?” he asked. “We don’t hit him,” Elizabeth said. “We have to be gentle,” Bruce said. One of the benefits of having Maurice is that students learn how to interact with animals, Douglas said. Maurice also brings a calming presence to the classroom, he said. “If they get too loud he goes into his shell and they notice that. They watch for his reaction to things,” he said. Since Maurice is so visible in the classroom, it’s also easy to integrate him in conversations or lessons. This includes a reward system Douglas has in place to recognize good student behavior. Each table in the classroom has a “star of the day,” who is the student who has best demonstrated the school’s core values. The star of the day is usually the person who gets to feed Maurice, a coveted class task done three times a week. This person can then pick three classmates who were also safe, responsible and respectful to take a turn feeding Maurice. In Timothy Douglas’ kindergarten classroom, the “star of the day” takes the first turn feeding class pet Maurice, the aquatic turtle. A kindergartner who believes she demonstrated being ‘safe, respectful and responsible’ asks to be the next person to feed Maurice, the aquatic turtle. For the youngest students, who are still learning how to express themselves with words, class pets often teach empathy and what it means to be responsible. But lessons on social and emotional skills do not end in kindergarten. Even as students get older, class pets help to reinforce responsibility, self-confidence and cooperation, teachers said. 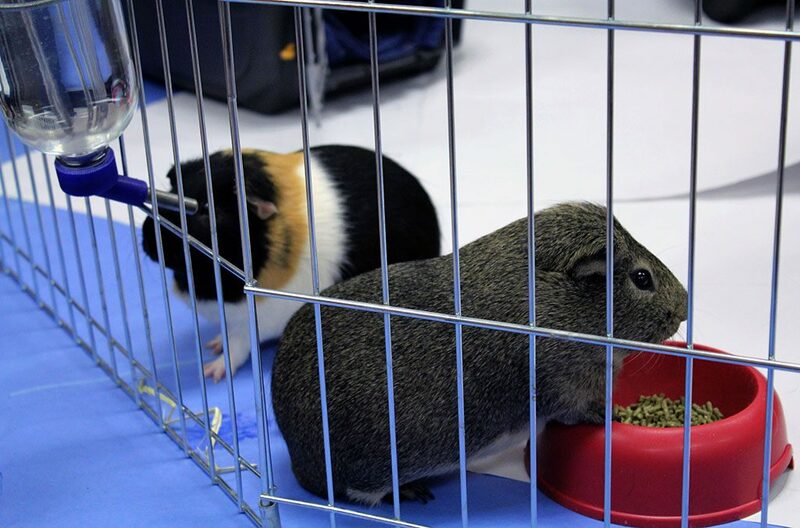 Kilpatrick said caring for the guinea pigs, named Potter and Weasley, is also a classroom job that teaches students teamwork and responsibility. Students also learn about common social roles, such as having a job and making a positive contribution to society. “We talk a lot about careers,” Kilpatrick said. “(They know), you’re going to grow up someday and you’re going to have to be responsible and I think that starts with something as simple as holding the door,” Kilpatrick said, referring to the classroom job of “doorman,” who also ensures students are lined up for lunch. Every three weeks, Kilpatrick selects two students to be classroom “zoologists,” who are responsible, with Kilpatrick’s assistance, for Potter and Weasley, known as “the boys.” The class zoologists feed the boys, clean their cages and make sure they have enough water. “It’s not just on me to make sure we’re taking care of everything. I want them to own this space too,” Kilpatrick said. Teacher Nicole Kilpatrick’s class jobs include “doorman,” but students are most excited to be “zoologists” at Heights Elementary in Pittsburg, Calif.
Two 2nd-grade students practice a writing exercise next to the class pet, Potter, at Heights Elementary in Pittsburg, Calif. The guinea pigs are also a lesson in the do’s and don’ts around pets. The class raised money to build a large pen for Weasley and Potter so they have more living space. The pets also go to the veterinarian regularly. Several students said they enjoy watching them from a distance “popcorning,” the nickname for when they jump around. 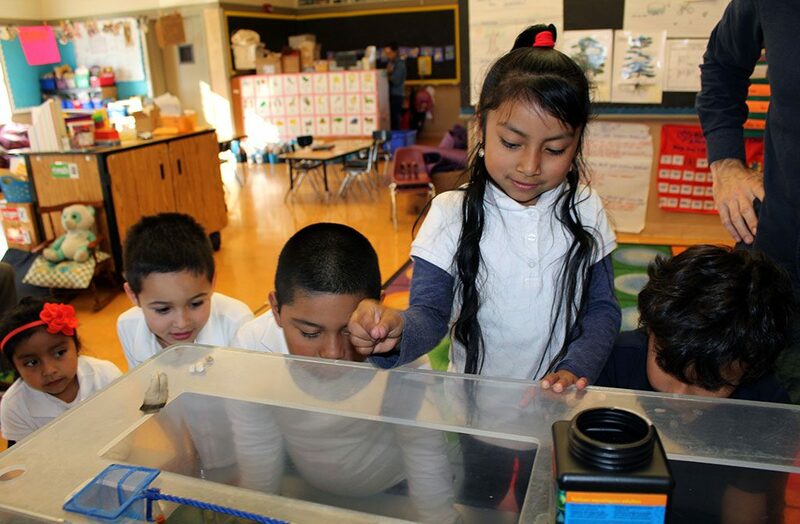 In Sarah Golden’s science classroom in Oakland, where kindergarten through 5th-grade students rotate each week for lessons, she said animals are an easy teaching tool because they don’t talk back and they are consistent in their behavior. “Peers (humans) can be hard to navigate but pets offer consistent behavioral cues and a naturally positive regard,” Golden said. 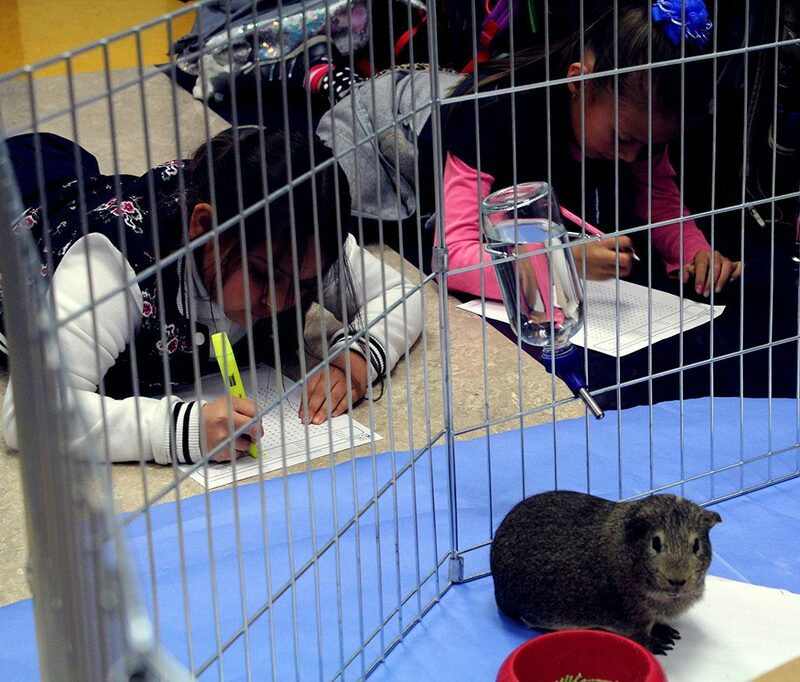 Class pets are also a source of comfort, teachers said. The simple task of sweeping the floor around the animal cages “can be a reward for some students” who are struggling emotionally, Golden said, because the routine calms them. Amy Asai, a 1st-grade teacher at Lincoln Elementary School in the Clovis Unified School District, has observed the same calming effect in her classroom. She said — much like Maurice the turtle — the leopard geckos, betta fish and other pets in her class help students relax. Asai said it’s an unspoken rule that students can stay as long as they need and rejoin the class when they feel ready. Teachers said while class pets provide an endless stream of “teachable moments” they also serve as a constant reminder that there is a vast world out there. In a recent lesson, before bringing turtles into the classroom, Asai read the book “Why Turtle’s Shell is Cracked.” Students were so fascinated they wouldn’t stop talking about tortoises and turtles, she said. The next time she visited the school library, all the books on turtles were checked out.